ELKHART, Ind. -- A woman was charged in the murder of her two young children after they were found dead Monday night. A third body was found in Fort Wayne, Indiana, Tuesday morning. Investigators in Allen County said the third body was discovered in the woods near the home of Liliana Hernandez, 7, and Rene Pasztor, 6. An Amber Alert for the two children was issued late Monday morning in Fort Wayne, Ind. Authorities said they had been kidnapped by their mother, 29-year-old Amber Pasztor, and were in danger. Hours after the alert was issued, she went to the Elkhart Police Department, flagged down an officer outside and said the children were dead. They were found in the backseat of her vehicle. "Anytime you have kids involved, that makes it a little bit harder. A lot of it is unknown. A lot of it, for the officers, is the way our portion of this transpired. Again, not knowing a lot of the background, not knowing a lot other than the mere fact that there is a car parked behind our police station and there are two deceased young kids in there," said Sgt. Chris Snyder, Elkhart Police Department. A mother was charged in the murder of her two young children after they were found dead Monday night. 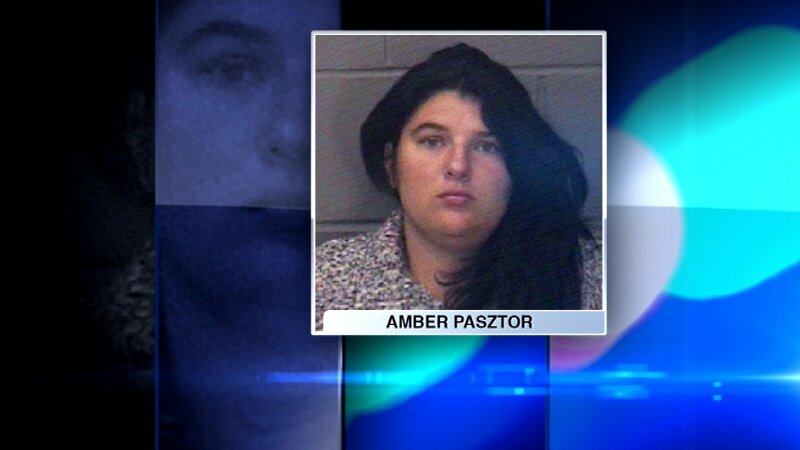 Pasztor was charged with two counts of murder Monday night. She is expected in court sometime this week. There is no word yet on how the children were killed. An autopsy is scheduled for later Tuesday morning. Police are still looking for 65-year-old Frank Macomber, who may have been with Pasztor during the incident. Authorities said the body found Tuesday is that of an older man. His identity has not been released.